Home/WeChat/What Are The Best Strategies for WeChat Marketing? Few Interesting Facts about WeChat! WeChat – What You Need to Know! Today, business owners are searching for different & different messaging platforms to reach the targeted audience. WeChat continues to grow at a phenomenal pace and becomes ever more deeply embedded in the lives of its users. Despite claims that WeChat Marketing has “boomed and it is, in fact, more influential than ever – and is driving several trends in wider Chinese society, including mobile payments. WeChat is increasingly used as a replacement phone service domestically, with the average user now making 19 calls or 139 minutes on WeChat Calls each month. WeChat is arguably the most popular and useful mobile app, with most businesses using it for both their personal and professional life. But it’s not just the people who rely so heavily on the increasingly popular app. WeChat has very cleverly developed an abundance of ways in which companies and brands can use WeChat to help their businesses thrive. WeChat Followers Acquisition and Engagement is not an easy Job. Competition is more and more fierce and 10% of the WeChat account get 90% of the views, interactions. For B2B, tourism, or services industries, you can use Wechat to communicate with your target audience and generate leads. It is not the most efficient way of doing this (Wechat is a closed platform, so can, therefore, be difficult for your target audience to find you), but it can work well. Wechat can also act as a newsletter for your audience. Many Chinese do not regularly check their email accounts; however, they frequently read their Wechat messages. In fact, 70% of the Chinese rely on using Wechat in work over email to communicate with clients, suppliers, and colleagues, organize work and read professional information about their work on Wechat when they have time. Let’s start by looking at the three types of WeChat business account: subscription accounts, service accounts, and enterprise accounts. They all fall under the category of Official Accounts, which are available to celebrities, media, government organizations, and businesses. Subscription accounts offer more messaging, but service accounts offer more robust functionality. Enterprise accounts are primarily for organizational management and are not of primary interest to marketers. Subscription accounts: Allow one broadcast message per day to subscribers; messages appear in the subscription accounts folder. Service accounts: Allow up to four broadcast messages per month; messages appear in the friend session list. Verified accounts have access to nine advanced APIs and can apply for WeChat Pay. These steps apply to the International-Market Platform. Gather all the required information, including your business license and personal ID. It’s a good idea to check the full list of required materials before you begin. Go to the Official Account registration page and submit your application. It takes two weeks for your account to be reviewed. While you wait, you can check your application status using your application email and application number. Once your account is approved, you gain access to the Official Account Admin Platform, the console from which you can interact with WeChat users, run WeChat marketing campaigns, and track your results. To set up your profile, scroll down to the bottom of the page to access the Settings tab from the left-hand menu. On this screen, you can choose your profile picture, create your QR code, select your region, and add your company description (which WeChat calls an ‘introduction’). Keep in mind that you can change your profile picture and introduction a maximum of five times per month, so you’ll want to make sure you have your text and photo properly edited before you save them in the system. WeChat’s many functions give brands multiple ways of interacting and engaging with customers. Here are some examples of how to take advantage of WeChat’s functionality based on brands that are already using WeChat marketing to great effect. Since WeChat Official Service Accounts can detect user location, they’re a great fit for location-based marketing. Big-name publications like The New York Times, the Wall Street Journal, Huffington Post, and Vogue are creating WeChat Official Accounts to push daily content to WeChat subscribers. But BuzzFeed, that most viral of media outlets, is using one WeChat feature in a unique way to allow readers to self-select the content they receive. BuzzFeed followers automatically receive one daily content item, but they can also use WeChat’s chat functionality to access custom content based on a list of keywords that trigger auto-replies. This being BuzzFeed, the list of keywords contains words like “fail,” “win,” and “cute,” making it a good fit for the BuzzFeed audience and a great way for users to uncover sharable content that they can then pass on to friends through chats or WeChat Moments. Read Also: How to Setup WeChat Payment? In a Valentine’s Day campaign, Tiffany & Co. used WeChat posts to ask followers about the meaning of love by sharing their take on the phrase “Love Is…” The campaign encouraged user engagement with the Tiffany brand while positioning Tiffany jewelry as the appropriate gift for the ones you love. While they were already thinking about love, WeChatters could use a tool within the Tiffany & Co. WeChat Official Account to find the ideal engagement ring, and then use the store locator to see where they could go to buy it. Even if they weren’t ready to head to the store, WeChatters could share animated GIFs from the campaign, amplifying Tiffany’s creative across their networks. WeChat automatically creates a QR code for each Official Account. 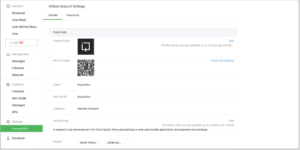 The app also includes a QR code scanner, which allows brands to get creative with QR codes both within and outside of the app. In India, there is a famous store that has created a three-dimensional sculpture that showed a QR code in shadow when the light hit it at just the right angle. Since lunchtime is a key time for online shopping, that’s when the QR code would appear. Scanning the code took users to the E-Mart WeChat Official Account, increasing both followers and sales. But perhaps the most exciting use of QR codes is by Stuff Magazine in South Africa. Products in the magazine are matched with QR codes. 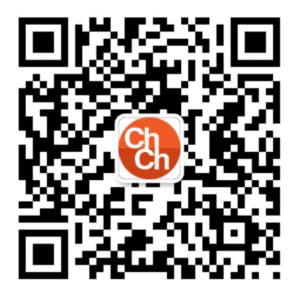 Scanning those codes using WeChat takes readers directly to their WeChat Wallet, where they can order the product with a couple of clicks and at a discounted price. Offline channels, such as trade shows, exhibitions, and other public events. Making your company’s QR code on WeChat more personalized is a powerful way to attract more customers. You can choose the style for your QR code from a great variety of themes. They range from the classic themes to more unusual ones. You can change the design of your QR code and manage the style quite easily. The effectiveness of social media is connected with the innate desire of customers to share content with friends and the world. Because of that, you must focus on the power of this desire when it comes to creating content for your WeChat account. You need a content that tickles a reader’s curiosity and draws them into reading more. The best WeChat promotion strategy is to create content that is the finest combination of well-structured and well-written text that is accompanied by images and perhaps videos. 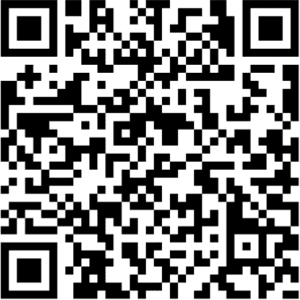 Don’t forget to include your QR code in your content! If the content of a WeChat account has a lasting impression on the minds of clients, they will share it with others. Once your great content is ready, post it to your account. Consumers will share it with their followers and their online social circle. Word of mouth will also assist you in establishing a solid bond with your customers and conquering their loyalty. 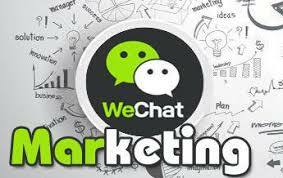 You can promote your WeChat account by partnering with other WeChat account owners that have a large number of followers. Accounts of many fashion brands and celebrities have a lot of fans. This will allow your business to be presented to the public for evaluation. You have to identify which channels of internet communication your target audience uses. Where are your prospective customers more active? What platform they like more and spend the most time on? After identifying them, narrow your gaze: now you need to realize which of these networks are delivering the most for your business. The vital goal of this WeChat promotion strategy is to increase the discoverability of your company’s profile and your QR code on as many social media outlets as possible. It is a cross-platform promotion of your WeChat account. One of the most effective WeChat promotion strategies is to build engagement through various competitions, Q&A sessions, and online events, such as surveys, polls, and quizzes via your official account. You should encourage commenting and other interactions to engage with more customers. One of the many interesting examples of building engagement via WeChat is the remarkable campaign called “Kissing Habits Survey”, which was launched by the French Fashion house Yves Saint Laurent (YSL) a couple of years ago. Its goal was to reach more Chinese consumers in order to capture the growth opportunities, which China and Asia offer. Another goal was, of course, to boost the company’s follower base on WeChat. At present, marketing is transforming into a more complex and increasingly vital tool for engaging consumers. There has been a noticeable paradigm shift with the rise of all things online and mobile. Thus, some specific and unusual promotion campaigns tend to play a more significant role in promotion than other run-of-the-mill methods. Another powerful WeChat promotion strategy is to offer free gifts to your customers at your office, stores, and other venues. Brands such as Gillette, P&G, Pampers, and Cover Girl, regularly hand out many products. Their business philosophy implies that getting these products into the hands of these consumers means increasing the potential of one of them becoming a lifelong customer. Be ready to act quickly if opportunity knocks at your doors. You may draw more people into following you on WeChat if you run a flash sale campaign. The number of the products offered at quite a large discount is usually limited. The time limit and restricted availability beguile consumers into buying on impulse. When a flash sale is promoted through WeChat advertising to reach the desired target audience, it allows you to obtain a lot of new customers and also followers on WeChat. Hope now you got an idea of WeChat Marketing! It’s time to think about how to incorporate this robust social channel into your overall social media marketing strategy. How will you put the app’s unique combination of features to work for your business? Share your ideas below! WhatsApp Business App – Everything You Need to Know!